A great point was made on my last post from a friend of mine. Her comment on my color of the year post was “…of course it’s pink…why do little boys always get the short end of the stick when it comes to color and fashion?”. And she’s right. I have always thought that it wasn’t fair that the Boys section of the store was never quite as cute or fashionable as the Girls section. With a lot less selection to boot. I believe now that I have finally started my business, be it the wee early hours of that process, that I will do a slight redirect in my posts. Instead of using this blog for accountability, which was its original purpose, I’d like to use it more for sharing ideas on Design, Celebration, & Family, along with my continuing journey. This will include posts on design inspiration, ideas to help celebrate your special occasions, thoughts on family and being a Mom and much more. 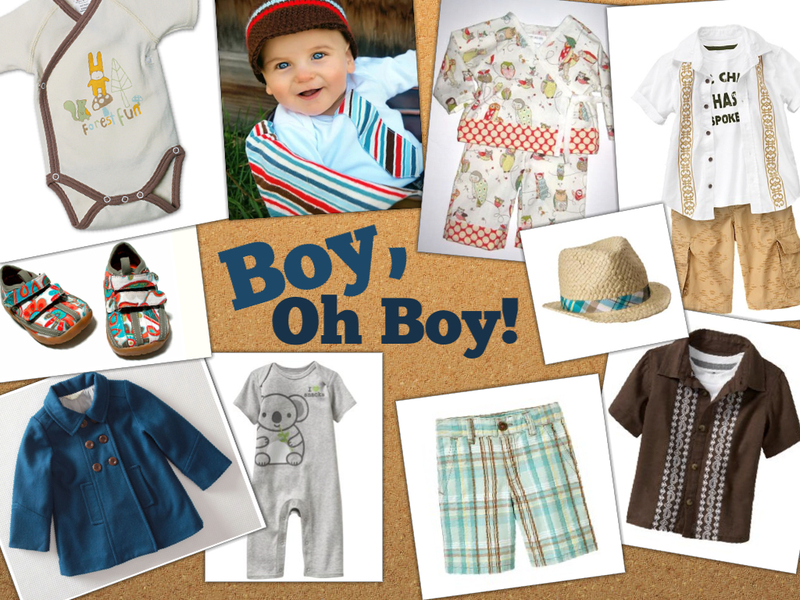 So, today will be my first post on sharing some design inspiration. I love to see the new colors each year in Pantone’s Fashion Color Report. 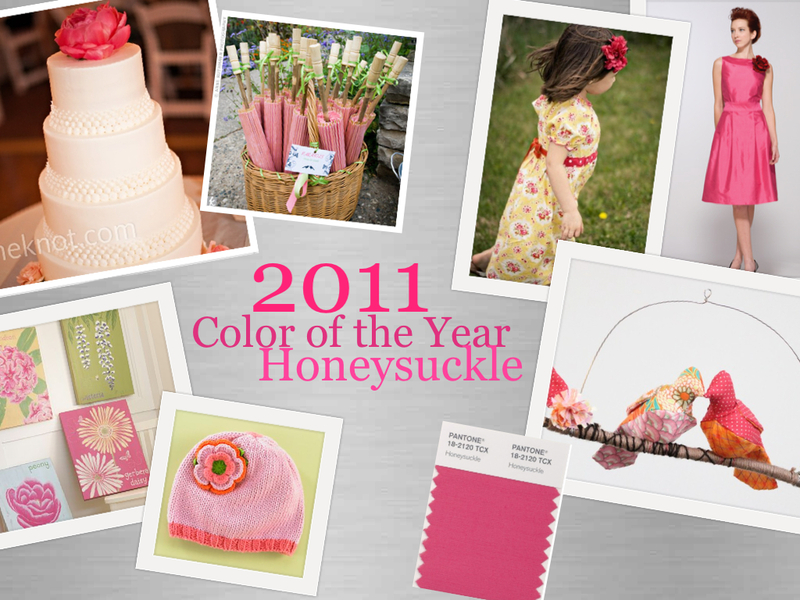 And I was thrilled to see this year’s Pantone color of the year: Honeysuckle. Pantone says “Energizing Honeysuckle Lifts Spirits and Imparts Confidence to Meet Life’s Ongoing Challenges”. What an uplifting color! I’ve created a moodboard to share this color with you. What are your thoughts on this color? How does this color make you feel? 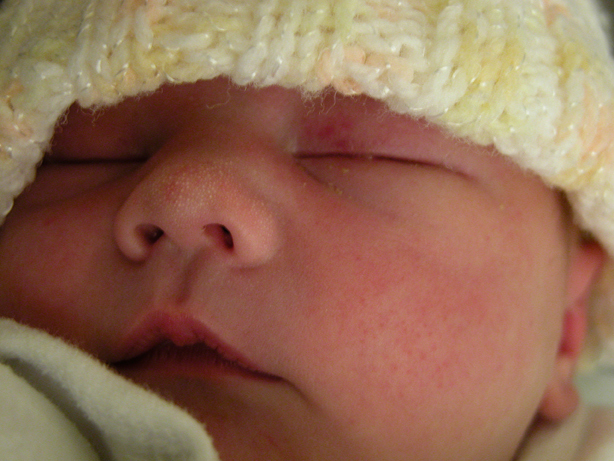 At the time my oldest daughter, Genevieve, was born I was working as an Art Director at a Marketing Agency in Chicago. I was completely unprepared for the heartbreaking feeling I would have going back to work after my Maternity Leave. For some reason, I had always just assumed when you had your baby, you went on Maternity Leave, then went back to work. End of story. But, all I could think about was how desperate I was to find a way to stay at home with Genevieve. This is when the idea of starting my business really came into motion. But, with working full-time, having an hour commute home each day, the general care of my baby and wanting to spend the little precious time I had each night with her, it was necessary to put the idea on the back burner. However, all the while I did start to gather ideas, research, and learn about starting my business. These were the beginning baby steps to “Always, Genevieve & Lucy”.